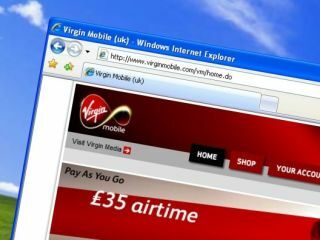 New research shows the websites of phone companies aren't doing enough to protect their customers' privacy. The research, by The Customer Respect Group , rated the sites of big telecommunication companies to see how they treated their customers' personal details. The best scoring companies in the UK were O2 and Virgin Mobile . The report gives a Customer Respect Index (CRI) for each company. According to the group, CRI is designed as a benchmark of customers' experiences when they interact with the web. The report says that respect for the privacy of personal data is lower in the UK than in either Canada or the United States, though UK-based sites are "well ahead" of their American counterparts for accessibility. The survey looked at trust issues - whether the site can be trusted with personal data; as well as usability and communication - how easy it was for the site to interact with the consumer. The Customer Respect Study of the Global Telecommunications Industry evaluated 54 websites as a representative sample of the industry's leading companies in three different geographical areas: the United States, Canada and the UK. The CRI ratings are given below. The marks are out of ten, with ten offering the best security.